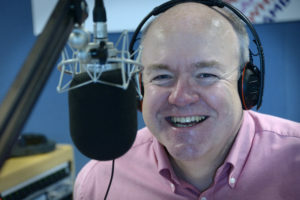 Gerald is an award winning radio broadcaster with over 40 years (he started very young!) behind the microphone. 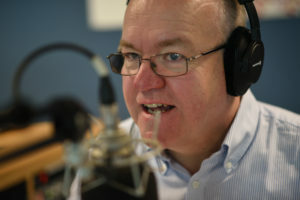 He is experienced across a range of formats including news, phone-ins and music programmes. Gerald's style has been described as "warm, informed, professional, engaging and a genuine radio personality." 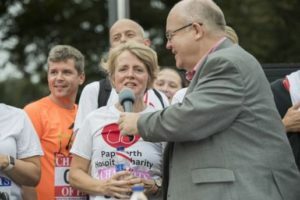 who is a extremely experienced and ensures company days, debates, public meeting and charitable events look and sound professional, run to schedule and are enjoyed by all. 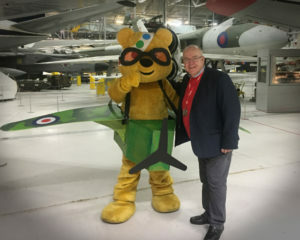 Gerald compered a major Children in Need event for BBC TV at the Imperial War Museum and hosted the "Chariots of Fire Run" in front of 3,000 people in Cambridge. However, he's equally at home in smaller venues as an auctioneer or quiz host. who presents corporate videos, training films and has reported for BBC TV. 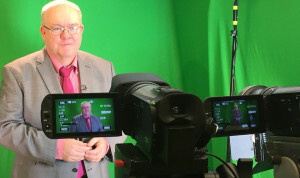 Gerald has presented and produced several training films about radio presentation. See a selection here. & loves voice over work! In addition to Gerald's radio work for the BBC, he is available for voice-overs. Recent projects have seen him voicing Father Christmas and providing the voice for a puppet dachshund dog ....who is also a professor!